DAEBAK!! Now here’s your chance to party and rock out with Hi-Lite Records, featuring some of South Korea’s major hip-hop artistes on Saturday, 3rd November 2018 at Envy Nightlife KL. 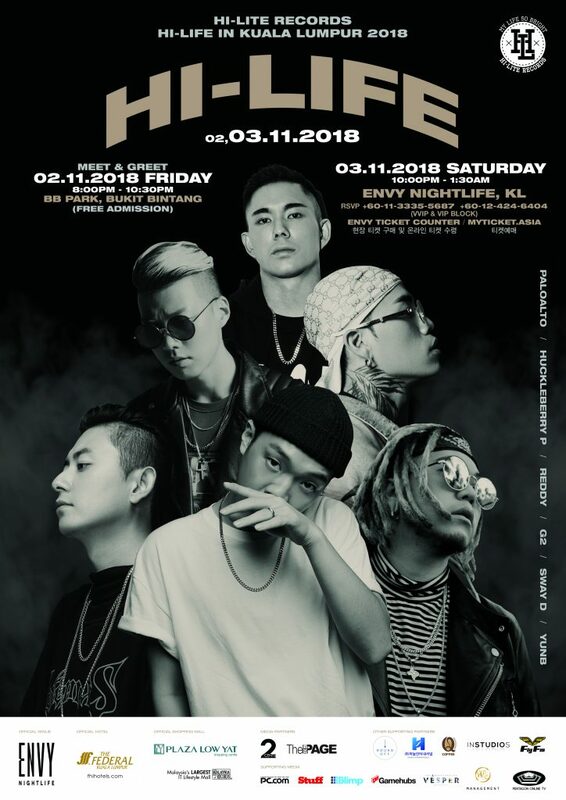 Fans of the South Korean rap-scene may be familiar with the names of the artistes that night, with rapper Paloalto leading the show, along with G2, Yun B, Huckleberry P, Reddy, Sway D, DJ Djanga and latest member, Yosi. Hi-Lite Records, founded by Paloalto in 2010, is a Seoul-based Korean hip-hop record label that houses few other artistes under its wing, namely Paloalto, Pinodyne (Huckleberry P & Soul Fish), Reddy, Soul One, Camo Starr, G2, Sway D, Yun B, Beshade, and many more. Previous members include Evo, DJ Frekeey, 211, Keith Ape, B-Free, Okasian (both B-Free and Okasian left the group in May 2016) and others. The group has previously performed at Atlanta, US and Tokyo, Japan. Not a stranger in the Korean hip-hop scene, Hi-Lite Records have launched two albums – HI-LITE Records – HI-LIFE and The Cohort – Orca-Tape; both in 2013. Their album – Hi-Life, have won “Album of the Year” in 2013 and also “Song of the Year” and “Music Video of the Year” with Keith Ape’s “It G Ma” in 2015 at the HIPHOPPLAYA Awards. 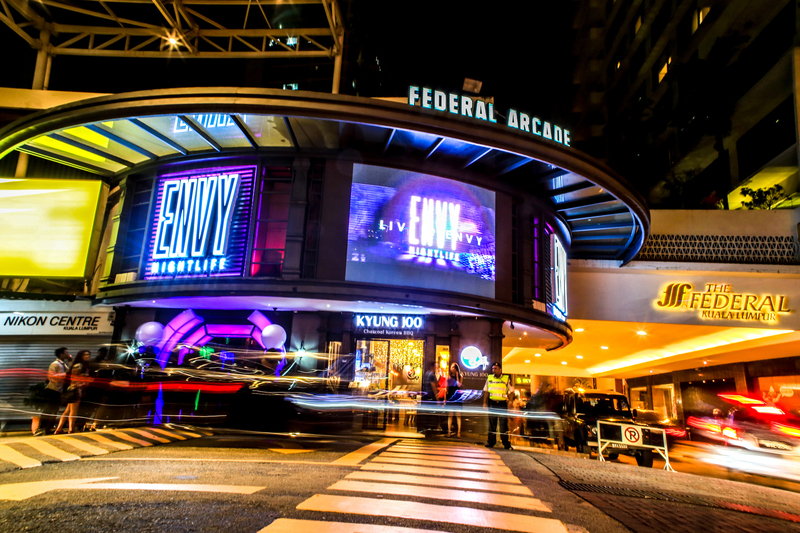 You have the opportunity to meet them in-person during their Meet & Greet session as they are going to have a quick showcase at bbpark, Bukit Bintang and a tour around Plaza Low Yat from 8.00pm-10.30pm on Friday, 2nd November 2018. Also, don’t miss your chance to party out and holla along with the Hi-Lite Records troupe this coming Saturday, 3rd November 2018, at Envy Nightlife KL! Tickets prices will go up to RM128 but early bird tickets are already on sale with 15% discount, so it’s best to get in there quickly!